Hi. Remember us? As you may recall, many months ago you crowned Canadian hockey player Jimbob Ghostkeeper as your Name of the Year. It was an excellent choice. In fact, if you ask me, young Jimbob possessed the best name in our entire 2018 field. 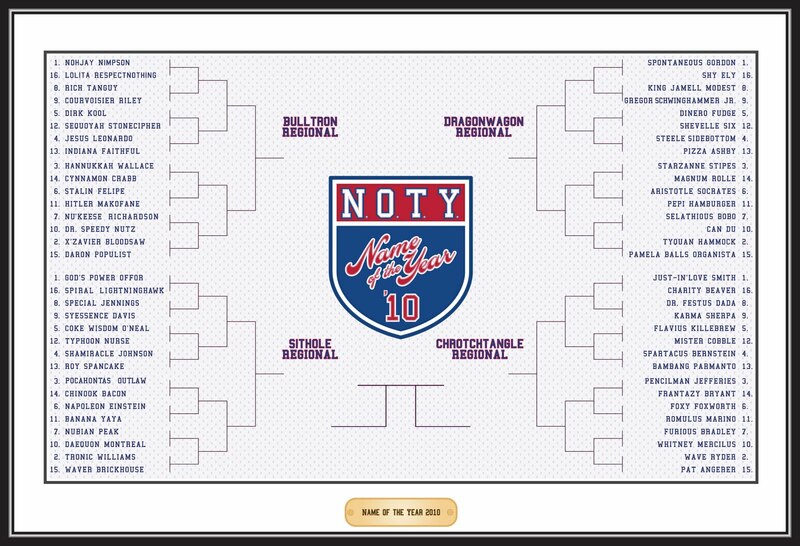 But my opinion is not the only one that matters in the world of NOTY. Our High Committee consists of more than a dozen individuals, all of whom have their own tastes. Some of us swoon over names that reference pop culture. For others, the mellifluous sound of a well-metered name is paramount. Still more of us are unable to resist the pull of a name that sounds like it was invented in a boys’ locker room. 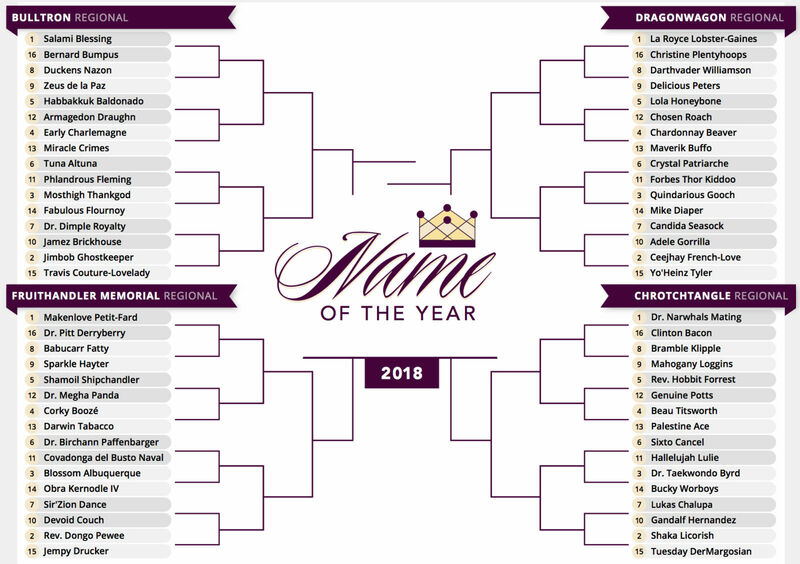 Despite our varying preferences, we attempt to reach a annual consensus on who we feel deserves the Name of the Year crown. 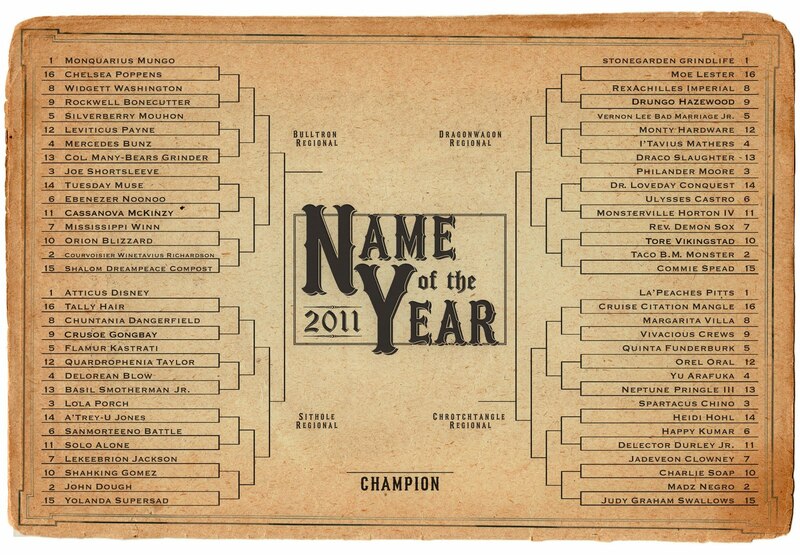 The naminee chosen by our High Committee vote is no less of a champion than the one selected by all of you. In our archive, the two winners live side by side in onomastic harmony. This year’s High Committee vote came down to a tight three-way finish. Would Jimbob Ghostkeeper achieve the rare People’s Choice-High Committee double, as did Vanilla Dong in 2007 and Shamus Beaglehole in 2014? Would Salami Blessing ride the top overall seed to victory, just like Kobe Buffalomeat did last year? Or would Dr. Narwhals Mating reach the point of climax despite the controversy surrounding his name change? Ultimately, after receiving the most overall points in our advanced scoring system and receiving the most first-place votes from our Committee, it was Salami Blessing, a recent engineering school graduate from Nigeria, who came out on top. That Ms. Blessing would win the High Committee voting despite already claiming the honor of our top overall seed speaks to her drive and ambition. She recently picked up a degree in chemical engineering from Covenant University, located outside of Lagos. During the 2014-15 school year, her GPA was an eye-popping 4.64, a figure that speaks to her skill as a student. She was able to maintain her high grades thanks to her dedicated study habits. She often spent long hours in the library, driven by her passion for engineering and her desire to make a name for herself. In an interview with the publication Punch, she said she would like to follow in the footsteps of Aliko Dangote, the Nigerian business magnate who is the richest Black person in the world. Here at NOTY, we love Ms. Blessing’s attitude -- and her name. Her handle evokes encased Italian meats, old-school network dramas, and miracles descending from on high. We send our congratulations to her on her victory, and we hope she will achieve the big things she has planned for her life. 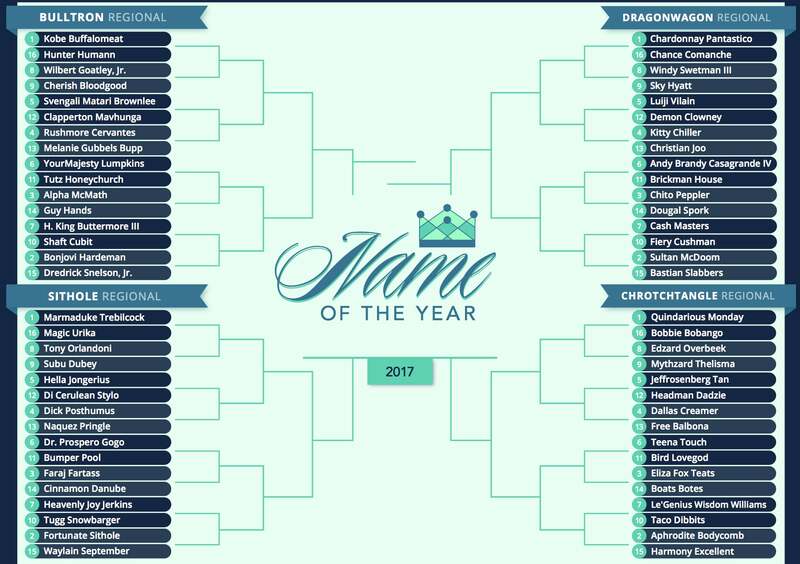 Last year's High Committee winner has been decided, but there are still many more names to chew on, debates to debate, and votes to come. We'll be back shortly with news on the 2019 bracket. Stay tuned.